It’s been almost 25 years since a pair of hit Japanese video games introduced the world to Pokémon. The games quickly became a global phenomenon, spawning an animated TV show, movies, comics, card games and an addictive smartphone game. On May 10, the franchise will reach an even wider audience thanks to DETECTIVE PIKACHU, a live-action adventure from the director of GOOSEBUMPS. 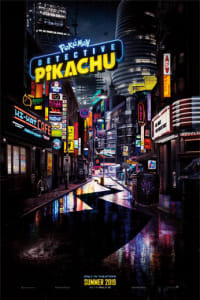 Featuring Ryan Reynolds as the voice of Pokémon’s most iconic creature, DETECTIVE PIKACHU takes the brand to a new level. The film gives audiences a Pokémon that isn’t just for kids or people who grew up in the ’90s — it’s for everyone. Pokémon was first introduced in 1995 in “Pokémon Red” and “Pokémon Green,” a pair of cartridges for Nintendo’s portable Game Boy system. Players collect Pokémon (which translates to “pocket monsters”) — cute little creatures with various abilities — and train them to battle against each other. The catchphrase “Gotta catch ’em all!” says everything you need to know: The games, and their countless sequels and iterations, are downright addictive. In the years since they were originally released, those first two games have inspired an animated series (with more than 1,000 episodes) and 22 animated movies, not to mention countless toys, a collectible card game, and a smartphone game called Pokémon GO, which encourages users to walk around their real-world surroundings to find and trap the franchise’s signature creatures. There are thousands of Pokémon, but the most famous one is easily Pikachu, a small yellow creature with a lightning-shaped tail and the ability to project electricity. Pikachu is the focus of the animated series and the franchise’s mascot. How Is a Pokémon a Detective? Before becoming the star of a major movie, the character had his own game called “Detective Pikachu.” Released in 2018, the Nintendo 3DS game features the iconic Pokémon as a detective who works with the players to solve mysteries. 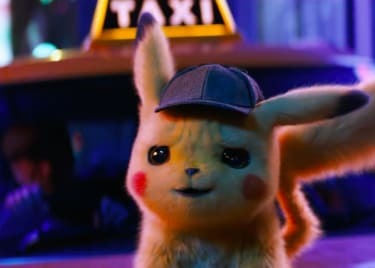 In the game, Detective Pikachu has all of the same abilities as the other members of the Pikachu species, but he’s able to talk and has convinced himself he’s a great detective. 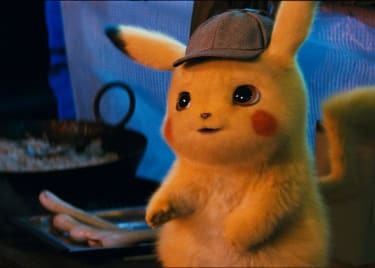 The DETECTIVE PIKACHU movie has a similar plot to the game, only this Pikachu is voiced by DEADPOOL star Ryan Reynolds. 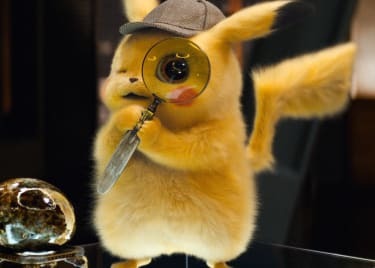 As with the game, the movie centers on a young man named Tim Goodman (Justice Smith), who teams up with Detective Pikachu to solve mysteries. Unlike the game, however, the movie has a bigger story. For years, the core Pokémon audience has been kids and adults who grew up playing the game and watching the show. It’s not exactly accessible to people who don’t enjoy playing video games or watching cartoons. But with the help of a megastar like Ryan Reynolds — and a cast that includes Rita Ora, Rob Delaney, Suki Waterhouse, Chris Geere, and acting veterans like Ken Watanabe and Bill Nighy — this is a Pokémon that people of all ages can enjoy without having to learn complex rules. DETECTIVE PIKACHU takes place in a world where Pokémon are real. Humans collect them, train them and pit them against each other in battles. Tim is the son of a prominent detective named Harry Goodman, who invites his son to work at his precinct. But when Tim arrives, a couple of major things happen: First, his dad has gone missing. Second, he meets the talking Detective Pikachu — but Tim is the only one who can understand him. The unlikely duo teams up with a reporter (Kathryn Newton) to find Harry. In the process, their comedic action-adventure makes Pokémon more accessible than ever. DETECTIVE PIKACHU opens on May 10 — get your tickets today.